Currently, do you focus hero development on more tank and especially support heroes? Because there only three healing supports right now an I'm sure players want a bit more diversity. Or is the process of hero creation something that can't be guided that easily? Jeff just wanted to give a big thanks for the info its very very rare to see a developer spend this much time working intimately with a gamer community and its not unnoticed :). Super stoked to see what is coming down the pipeline. Two things I really want are more maps and social tools. I am interested in adding people in voice chat to my friends for later pre-made grouping etc. Right now I don't know who I am talking with, would be nice if there was some indicator icon. I think someone said you could right click from the p menu to add friends but have not tried this. I did get in the social menu and could not add someone due to spelling problems. Also some kind of Clan system which I assume is being worked on for competitive modes. Steam integration would help as well to get groups together before going into game, or something similar to steam/friends chat. Jeff can u please mesh-up Arcade and Mystery Heroes in a new Brawl? I love so much those brawls. Brawls like... We're all soldiers now, or Shimada Brothers... are so bad. More fantasy! More ideas, please! All of you can do better than those brawls. Wow i would like to thank you Jeff for your response! If all the rumors and hints we've seen so far are true, then Sombra will be some sort of supporting sniper. Please, more story updates and lore. 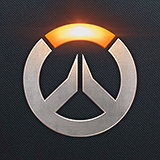 OW might be a multiplayer shooter, but its story and characters that truly make it stand out - people actually care about the lore. Thank your for taking the time to do this. I'm sure that post represents a non-trivial portion of your time. Lame on no TDM. Maybe time to go back to FPS that have TDM like CS:GO and TF2. YES, please go back to those games and leave. By the way, TF2 does not have TDM. From what I understand, this bug is fixed in the patch that contains Competitive Play -- end of June. You do get an EXP bonus for your first Brawl. It's not displayed very well. And I like watching them!